1 World Trade Center, formerly known as the Freedom Tower, is the main building of the new World Trade Center under construction in Lower Manhattan in New York City, USA. The tower will be located in the northwest corner of the 16-acre (65,000 m) World Trade Center site, bound by Vesey, West, Washington and Fulton streets. Construction on below-ground utility relocations, footings, and foundations for the 1,776-foot (541 m) building began on April 27, 2006. 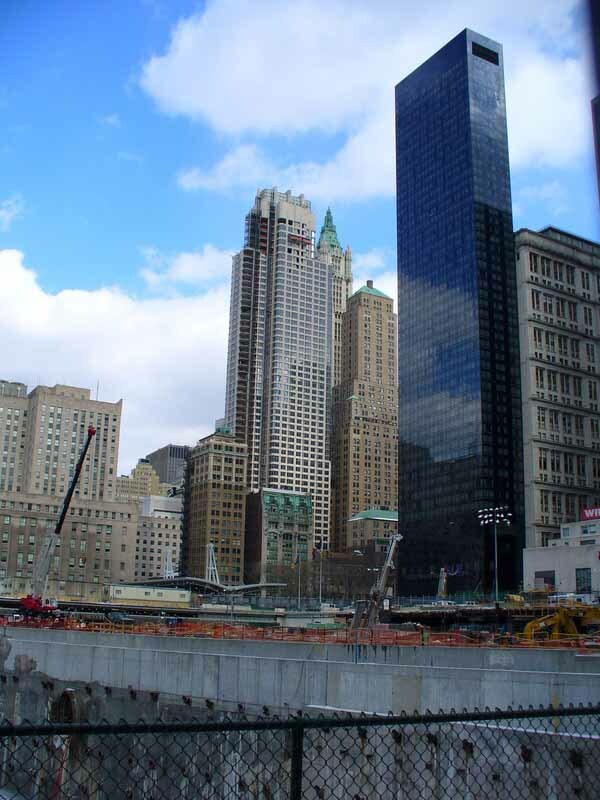 On December 19, 2006, the first steel columns were installed in the building's foundation. Three other high-rise office buildings are planned for the site along Greenwich Street, and they will surround the World Trade Center Memorial, which is under construction. The area will also be home to a museum dedicated to the history of the site. 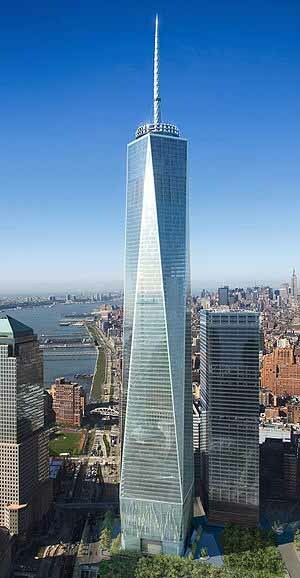 On March 26, 2009, the Port Authority said that the building will be known as 'One World Trade Center', replacing its former name 'Freedom Tower'. The Millenium Hilton is a Hilton hotel in lower Manhattan, New York City, located at the southeast corner of Fulton Street and Church Street. The hotel is adjacent to the World Trade Center site, where One World Trade Center is being built. The name of the hotel is spelled "Millenium" on the outdoor signage and official literature, even though the correct spelling of the English word is "millennium". The building is 59 stories tall and has 471 guest rooms. In 2001 Zarathustra spoke ... He told me that something would happen that would change the course of reality forever. It would be the dawn of a new awakening for human consciousness. Z's prophecy was correct, 9/11 - Attack on the Twin Towers, World Trade Center.